Evolution in the fan space is slow. We’ve reached the era of incremental improvements, whilst the core design of fans stay the same. 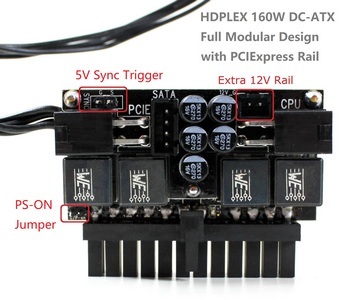 None of the crazy early days experimentation is found nowadays, sounding a death knell to the likes of tip magnetic drive, and even the pure Sandia designed CPU cooler. Instead, small improvements are made (notwithstanding RGB, because that’s an entirely different story), in pursuit of a better cooling device. 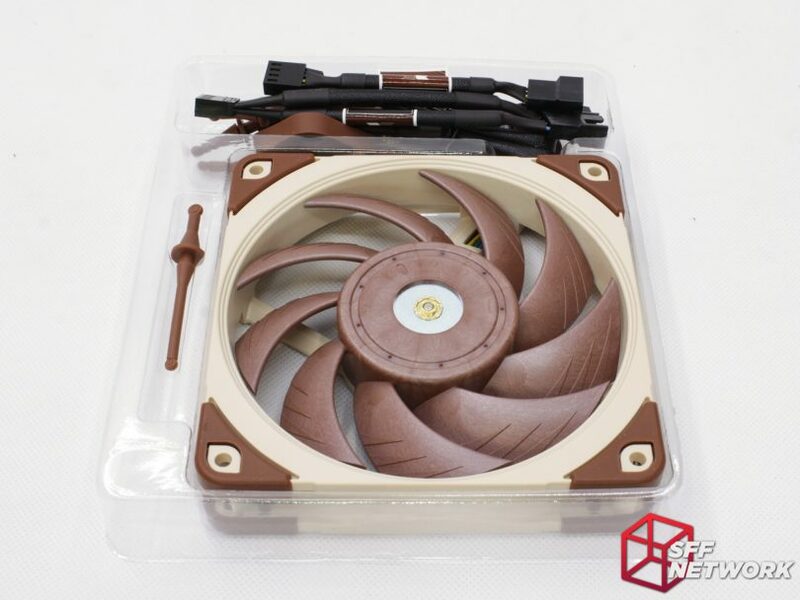 Material tech is the route chosen by Noctua for improving their fans in this instance, eschewing the fan frame changes shown by DeepCool, CryoRig et al. Better materials can mean tighter tolerances, higher reliability, improved aural characteristics, or a combination thereof. Enter Sterrox, Noctua’s Liquid Crystal Polymer. 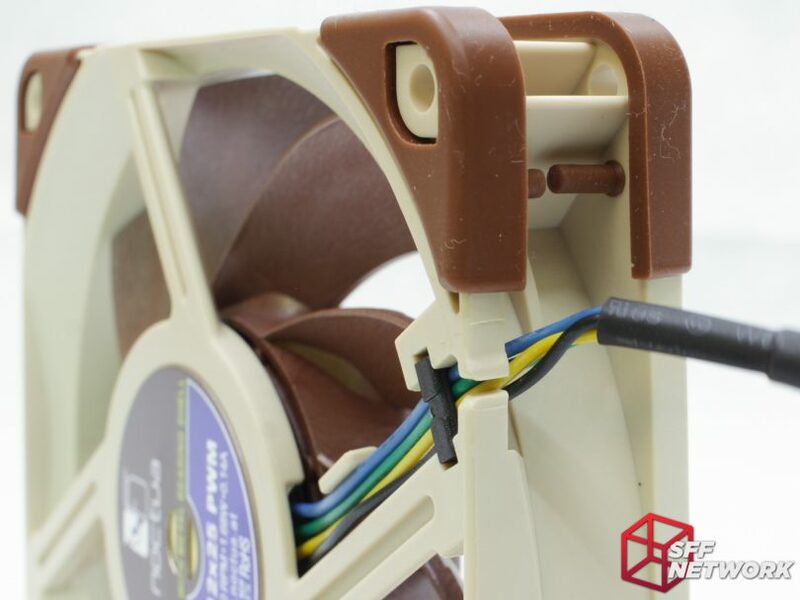 Using this relatively new form of plastic, tighter fan impeller tolerances can be specified, creating more airflow than the usual “just make the hub smaller” methodology that people usually suggest. A NOTE: The following section is in the process of being retested due to community concerns. Corrected/Updated results available in short order. As the name implies, the material is a polymer, or chain of molecules combined to form a stronger material. The liquid part of the name comes from the forming stage, where the polymer is dissolved in a solvent, or melted past the “glass” point – where the polymer turns from a solid to a viscous, rubbery substance, enabling flow forming, and thus injection moulding. When this occurs, the polymer crystallises, adding great strength to the material. Lyotropic LCPs (Liquid Crystal Polymer) are those which are dissolved in solvents, whilst the melty version is known as Thermotropic LCP. Sterrox is formed in part from a Thermotropic LCP, formed using heat rather than solvents. In contrast, Kevlar, the well known fibre used in bulletproof vests, is a Lyotropic LCP. The solvent based liquid form enables easy forming into fibres, something not needed for injection moulding. Speaking to injection moulding, the high material cost is offset by the ease of moulding – meaning that the move to this compound won’t increase the cost of the products created with it… too much! This means that LCPs are more common than you’d expect – being used in car ignition systems, heaters, light sockets, and other areas where high heat and wear are present. LCPs in both forms are typically extremely resistant to chemicals, and have high fire resistance, high weather resistance and good mechanical strength, even at higher temperatures. 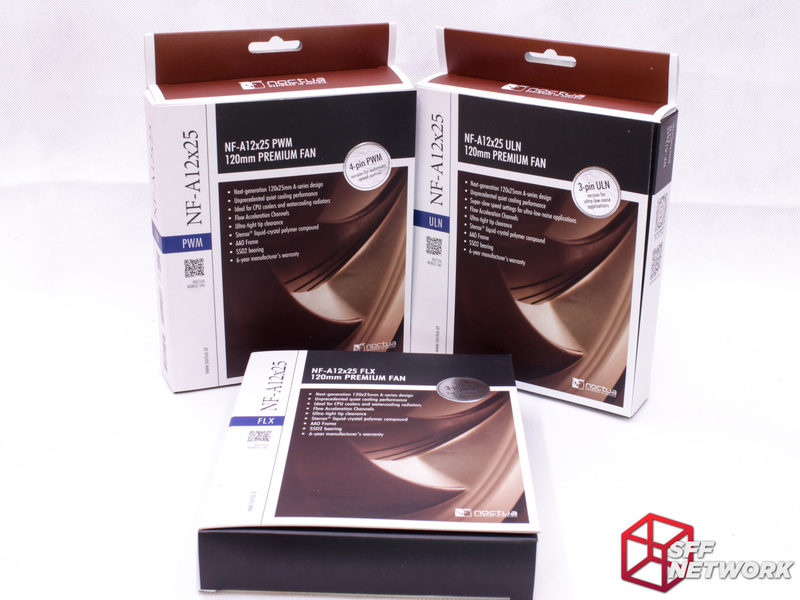 Noctua’s Sterrox takes Thermotropic Liquid Crystal Polymers and adds glass fibre – a typical technique used, even with regular plastics like PBT, to add strength in compounds. When the fibres are orientated in the correct direction, the material becomes even stronger against stresses – something relatively easy to do when injection moulding parts. 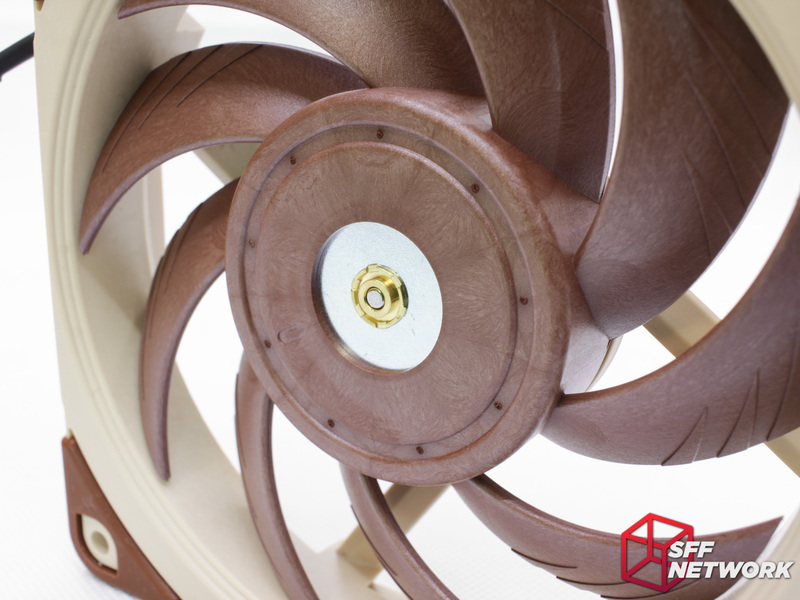 Noctua’s use of this material isn’t just limited to outright rotational stress though, the mechanical properties are used to negate other negative effects – blade vibration and resonances. 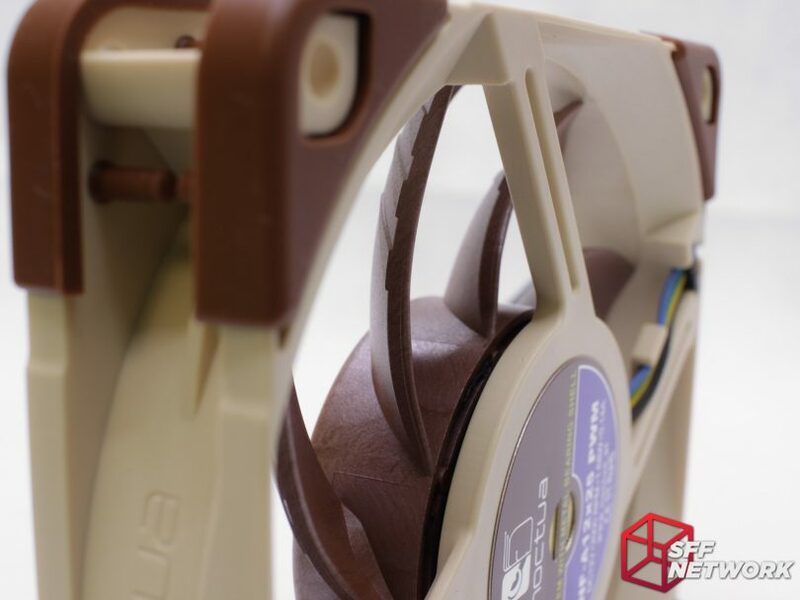 Simply put, using Sterrox enables Noctua to reduce tip clearance, and reduce aural issues that come from the traditionally flexible fan blades. 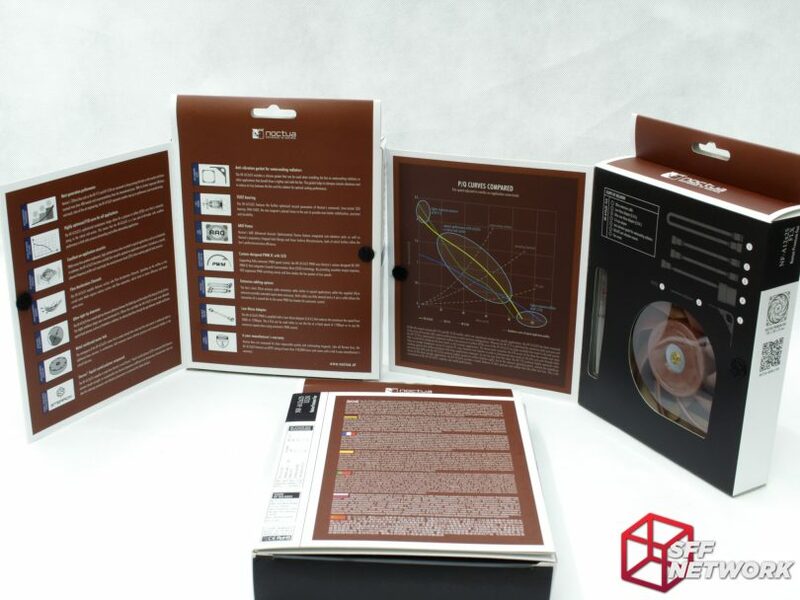 For a more in depth look at the Sterrox marketing material, see Noctua’s website. Let’s see the first application of Sterrox – the NF-A12x25 WPM, FLX and ULN. Nothing’s changed in the packaging department, with the typical aesthetic evident. More technical information is available to read within the front and rear fold-out panels, including performance curves. 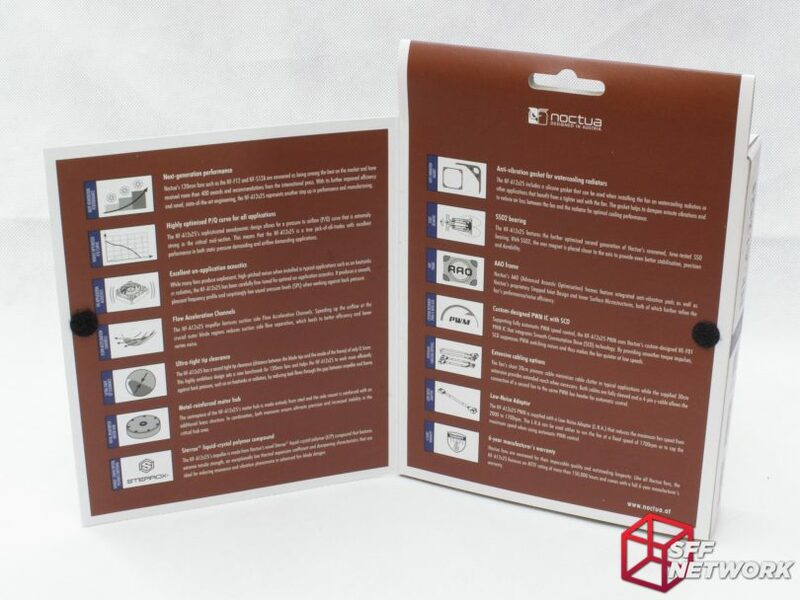 A summary of included parts is also shown – this packaging is definitely aimed at attracting attention on a retailer’s shelving. More information! This is all reproduced on the product page on Noctua’s website. Opening the package reveals the same plastic tray of goodies design of the previous generation. What’s different here are the goodies! 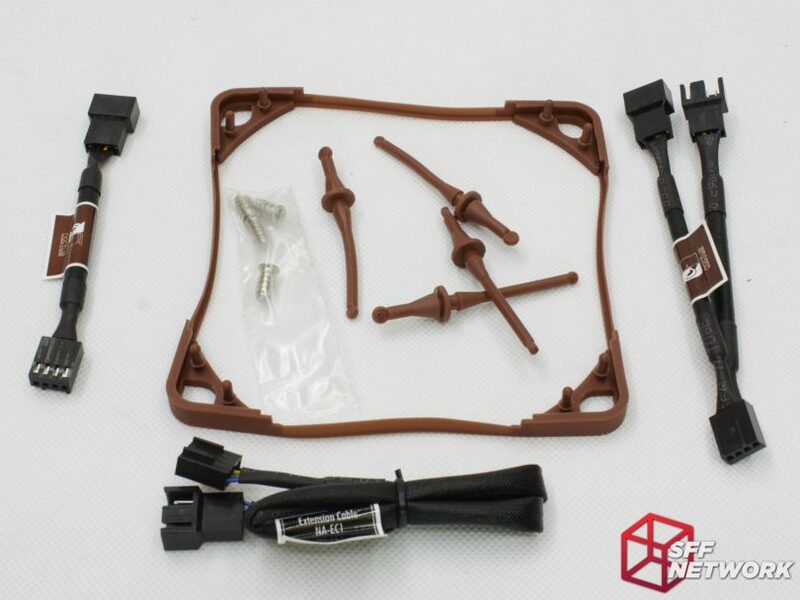 Accessories include a LNA (Low Noise Adapter), cable extension, cable splitter, 4 isolation mounts, 4 screws and a new item to the Noctua fan line – a full frame vibration dampening gasket. 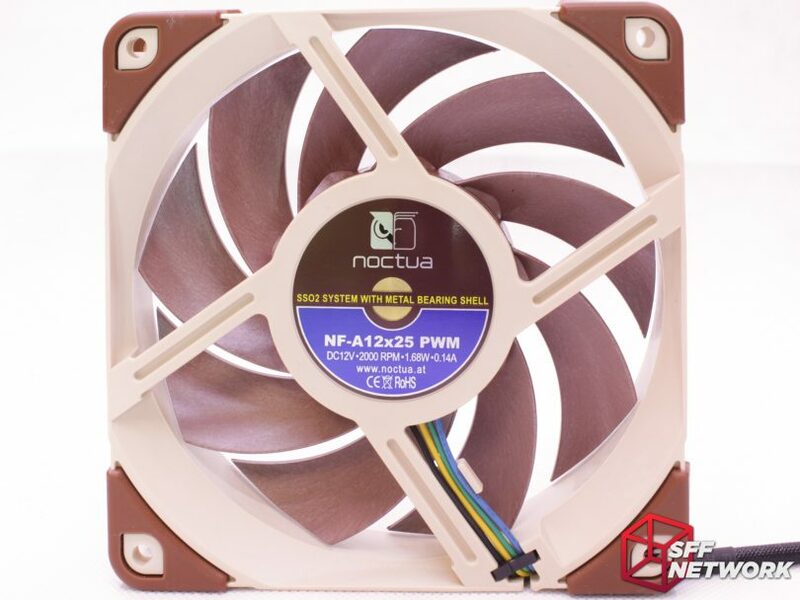 This is for use on watercooling radiators – a sure sign of the “all-rounder” design of the NF-A12x25 – Noctua states that these fans will perform well in most scenarios, from free flowing case cooling to the dense fin stacks of watercooling radiators. What stands out first to me with the NF-A12x25 is the appearance of the Sterrox. It reminds me of Bakelite or woodgrain in a way, which isn’t a bad thing (in my personal opinion!). The tip clearances are tight! 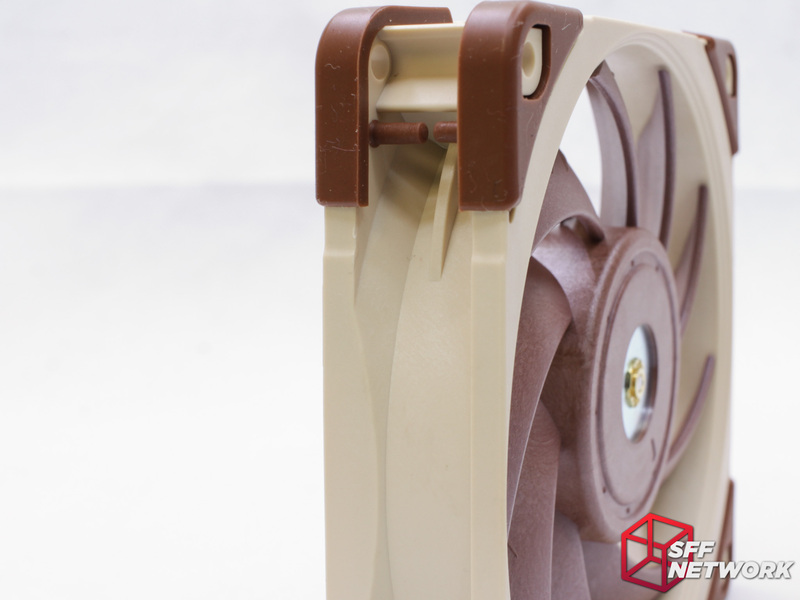 Noctua’s Flow Acceleration Channels have been implemented on this model, making up the three triangular shapes on each blade. A noticeable omission on the A12x25 versus the F12 and S12 models is the lack of “Inner Surface Microstructures”. These divots on the other models help improve pressure and reduce noise – I guess the implementation of the Sterrox impeller and tighter tip clearances reduces the effectiveness or need for these. Noctua’s usual silicone vibration dampening corners are present, handy if you wish to replace them, or customise your fan with their Chromax line of products. I still wish Noctua would move to black cables (or cream!). The typical SSO2 bearing is here, as expected. Noticeable is the larger hub – the cover plate here is the same size as the hub in it’s entirety on the NF-F12! We’ll explore this further down the page. From the back, we can see the details of the blades are crisp, impressive for such a mass produced part. The A12x25’s frame is thick and robust, which aids in reducing noise production. Another look at the uber tight tip clearances. 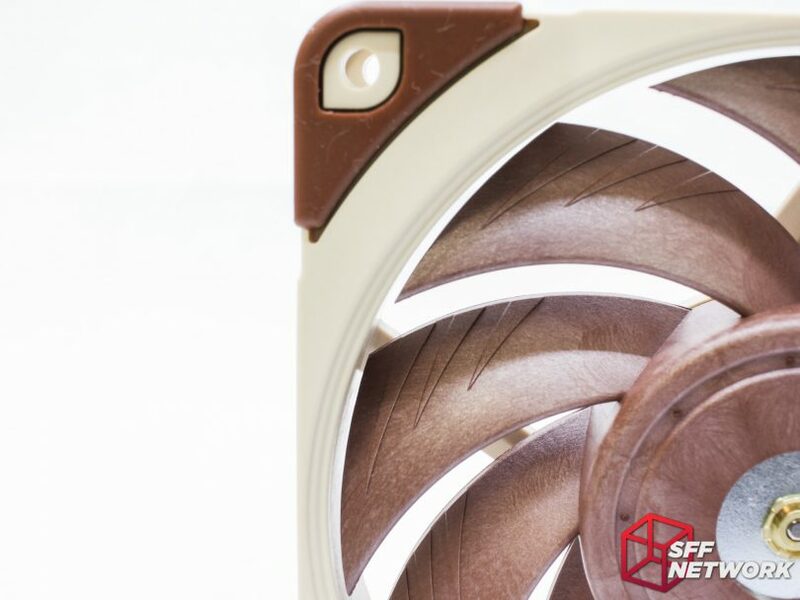 Noctua’s stepped inlet design is continued in this new line of fans, which Noctua claims increases intake turbulence to aid in reducing noise from air moving from a laminar to turbulent flow. The new generation motor hub has more metal than in the past, aiding in rigidity and stability. These aspects are kind of important when the fan blades fly a mere mm or so from the frame! The larger hub is evident here – measuring in at 52mm wide – a far cry from the 41mm of the NF-F12 fan. However, the fan blade profile and effects of the tight tip clearance makes quantifying the airflow loss or gain quite difficult. 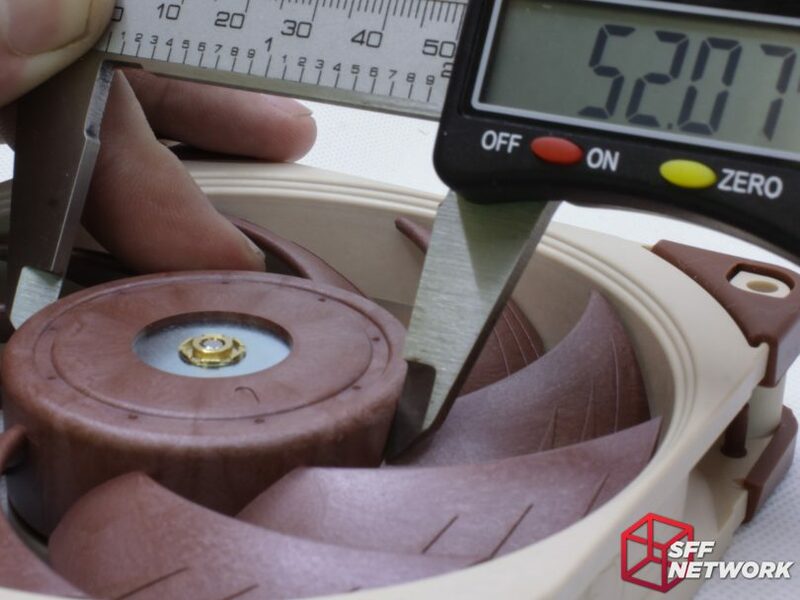 We’ll have to rely on provided figures to compare the fans – and some heatsink based testing. The gasket in place. It’s a nice addition – and can be used on either radiators or cases – I can see a use case here to ensure good sealing on fan filters! Testing fans is anything but easy – It’s not as simple as throwing on a benchmark run and checking the results afterwards. Careful consideration is needed towards what use cases we need to cover, and what is feasible from a technical standpoint. So, I figured a real world test would be best – CPU cooling! 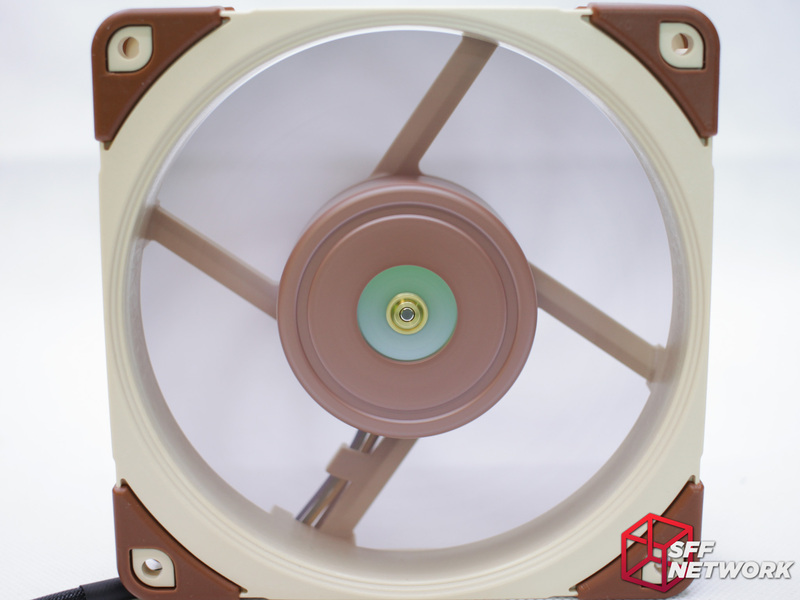 Using Noctua’s own NH-L12s, and a Ryzen 1600X, I tested a large range of Noctua 120mm fans – let’s see where the new NF-A12x25 sits in the lineup. First up, full speed testing! Note that it seems I got a bad cooler mount on this test. Fret not, as all numbers are still comparable! After retesting and remounting the cooler, results were unchanged. Overall, the new A12x25 is the best performing fan, however, the margins are tight – one could argue that the differences between the best 3 fans (A12x25, F12 and P12) are within a margin of error. Interestingly, though, even though the Sterrox based fan has the fastest rotational speed, it’s not the loudest. Because of the vastly different blade profile, it is once again challenging to compare versus the other fans. Aurally, the noise profile is better than the other fans in the roundup, however louder than all barring the P12. Well, that’s interesting. Now, let’s spin the fans down to the slowest fan speed – 1230RPM and retest. Note that due to the nature of testing, the RPM ended up +/- 20rpm. Well, the margin of error in performance striketh again. Let’s just call these even. All fans were all very, very quiet, drowned out by other fans in the system. 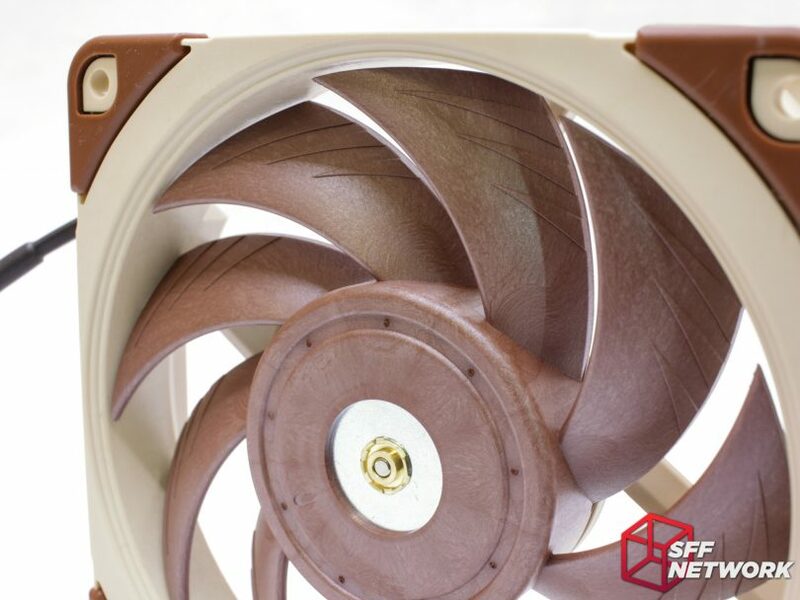 Noctua has innovated in the PC cooling space yet again, albeit in a rather incremental way. Whilst the Sterrox material offers gains in strength, I feel that a large portion of the performance in both airflow and noise is to do with the blade design as well. 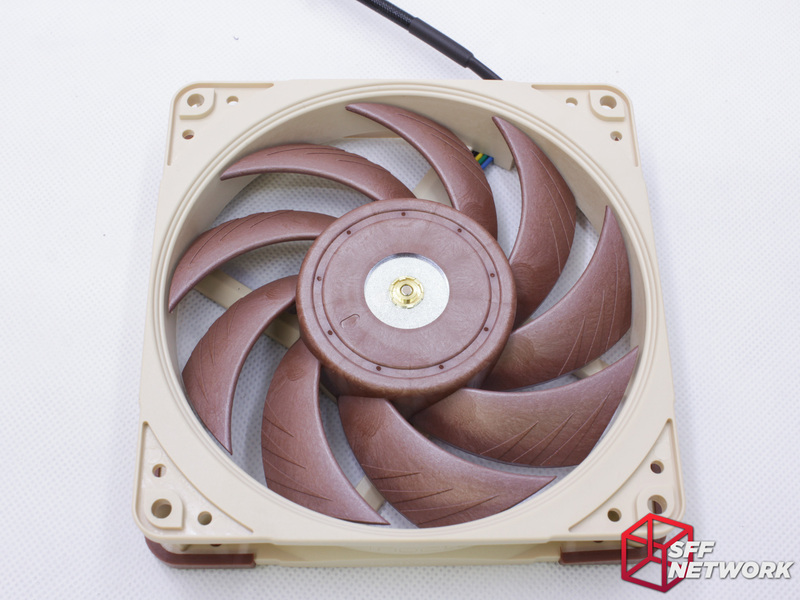 Comparing apples to apples is difficult here – no other fan in the Noctua 120mm range (excluding the slimmer A12x15) matches the blade profile of the A12x25, making judging the merits of the Sterrox itself difficult. As a product in and of itself, however, the new NF-A12x25 offers a solid performance profile with high quality to boot. 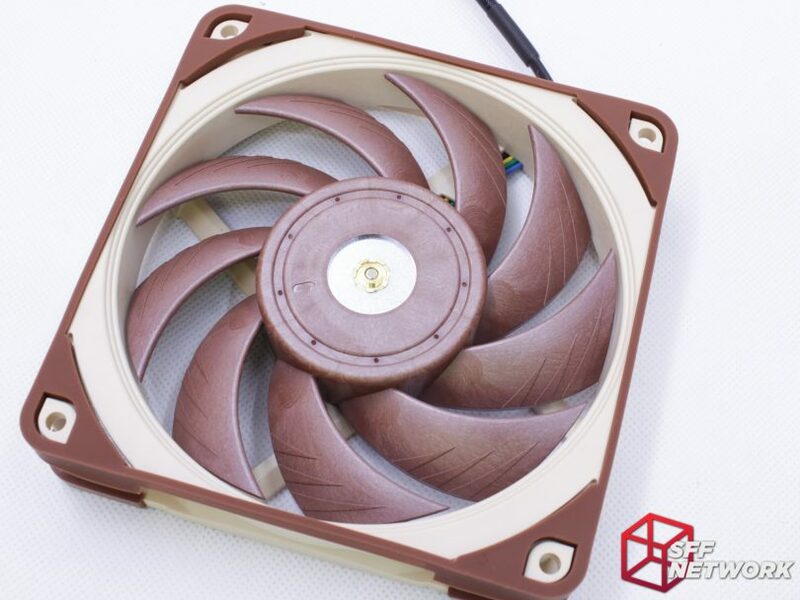 Cooling performance matched the other Noctua 120mm fans we have to hand, which is positive, as these are market leading fans. As an upgrade option – well, these just aren’t worth it to replace a F12 or P12 variant. As a materials science exercise, I think Noctua has a winner. Only time will tell as to the longevity improvements with the stronger materials – a MTBF of 150,000 hours means I’d have to run the sample non-stop for 17 years before expecting a failure. 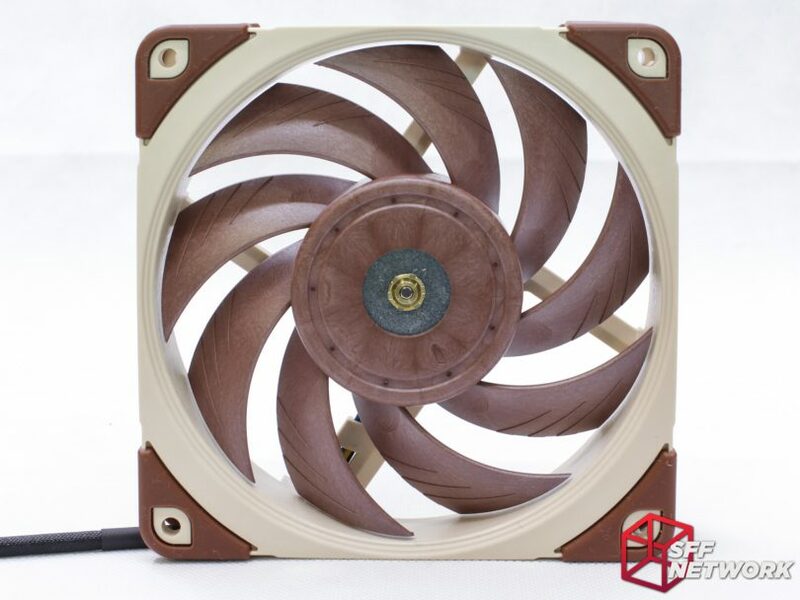 I do hope Sterrox will expand into the rest of the range – – slim 92, 80, 60mm fans with Sterrox please Noctua?